What is Oozie Eclipse plugin, or OEP? 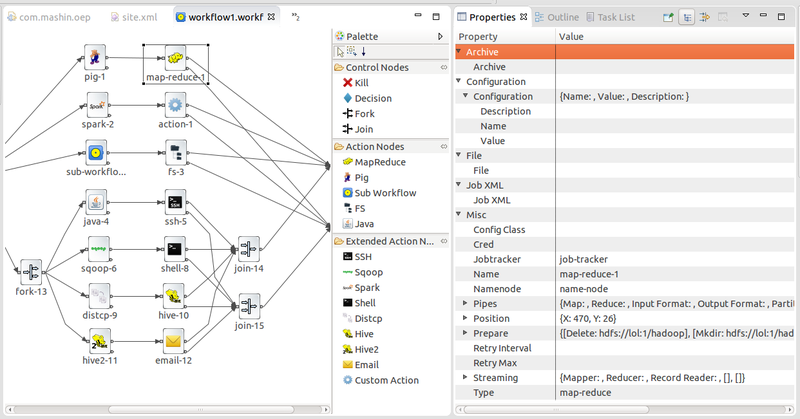 Oozie Eclipse plugin, OEP, is an Eclipse plugin for editing Apache Oozie workflows graphically. It is a graphical editor for editing Apache Oozie workflows inside Eclipse. With Oozie Eclipse plugin, there is no need for writing workflow XML files, there is no need for memorizing the XML tags and syntax, there is no need for looking for XSDs. Composing Apache Oozie workflows is becoming much simpler. It becomes a matter of drag-and-drop, a matter of connecting lines between nodes. Hence, the development time is significantly reduced allowing much dedication for the logic rather than the syntax. 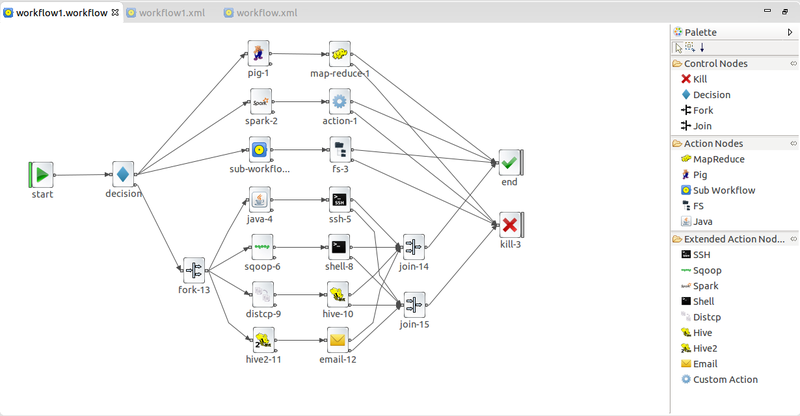 Moreover, that would give a chance for writing more complex workflows. With Oozie Eclipse plugin, it becomes easier to compose, read and maintain Apache Oozie workflows. Everyone, including the less technical people, could become an expert in writing Apache Oozie workflows. It is an intuitive choice to keep Apache Oozie workflow files side by side with the orchestrated Hadoop jobs written in Java or Spark jobs written in, say, Scala. It is an intuitive choice to choose an IDE to develop these jobs. It is an intuitive choice to edit these workflows in the same IDE. It is an intuitive choice to maintain all these projects in the same source control (e.g. the same GitHub repository). Oozie Eclipse plugin is well aligned with these intuitions.